Investing is one method to accumulate monetary wealth for retirement, higher education, a home or merely financial security. Your financial health must be strong before you consider investing in anything because unforeseen circumstances can stop your monthly cash flow. If you do not have any investments, your monthly income is your only source for cash inflow. This means that, if you lose your job, you'll have no money coming in to pay for rent, food and other necessary expenses. Before you start investing, save three to six months of salary to cover your expenses in times of need. For example, if you make approximately $3,000 per month, save $9,000 to $18,000 before you start buying investment products. This financial cushion might come in handy later on. 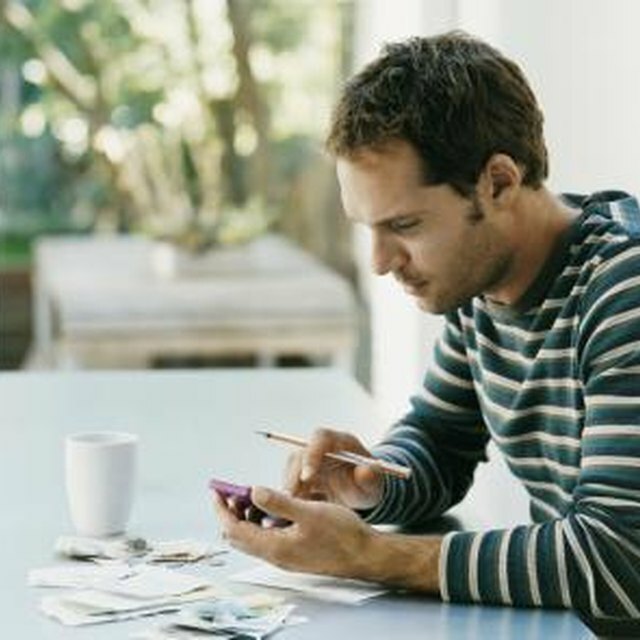 Neglecting your debts is quick way to lower your credit score and run into financial trouble. Saving money in a separate account to pay for debts prevents the possibility of late payments or default due to unforeseen circumstances. Before you invest, save enough money to cover at least six months of debt payments. Keep this account separate from your other savings account to budget your money more easily in times of need. The greater the return of an investment, the higher the risk. The level of risk you are willing to take with your investments should influence the amount of money you save before investing. For example, low-risk investment products such as bonds usually can be withdrawn if the investor needs the principle for an emergency. The money carries a very low risk of loss and is always there, so you can afford to save a little less. If you purchase stocks, however, you must prepare to possibly lose most of your investment to the ebb and flow of the stock market. Some investment products require a minimum investment amount. Depending on your goals for investing, you may have to save a substantial amount to buy the investment product. For example, an aggressive mutual fund through a large brokerage might require a $5,000 initial portfolio investment. Research the investment products of different brokerage firms, consider the risks and benefits of their products and determine if you need to save any money to start a portfolio.